o diet shakes really work? Some people think that they do while other people are completely unsatisfied by them. They are marketed as part of a successful diet but many experts say they are nothing but a fad. A person can lose some weight with them but not be able to maintain that loss if they don’t make some other changes to their lifestyle including what they eat and the amount of physical activity they engage in on a daily basis. Diet shakes are convenient as they are found in cans too. You can put them in your refrigerator and open them when you are ready. You can also take them to work and enjoy them for breakfast and lunch instead of other foods. Then you will need to eat a sensible dinner. Most diet shakes have essential vitamins and nutrients that your body needs so you won’t be lacking. These pre-made diet shakes are also expensive though and that is why many people go with the powder. They can easily make a large batch of the diet shakes and then pour them into containers to take to work with them or to grab when they are ready for one. Some people complain of a metallic taste when they drink a diet shake out of can. This is eliminated when they make their own though. However, many people find it is hard to give up eating solid meals twice a day. It is often a mental thing that we do out of habit though. Yet it can be hard to change what is such an integrated pattern of our daily behaviors each day. This is something you will have to decide for yourself if you can stick to or not. 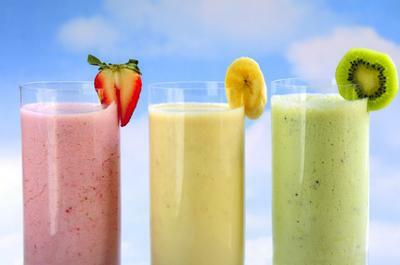 Diet shakes are offered in many great tasting flavors so you can mix and match what you want to drink. This will prevent you from becoming bored with the same thing day after day. You will also find the taste of them has significantly improved over the years. Most of them are delicious and you won’t feel like you are drinking something that is made for dieting. You may have to try a few brands to come up with one you enjoy the taste of.